Well hibernating for one, it was winter for a long time. Even though we did not get the mountains of snow we get some years, it still slows you down and cuts you off from the world. So what was I doing? Hanging out on-line and finding cool stuff to buy like …..drum roll……this! So I stumbled across an ad for Quaintly &Co on Facebook. It immediately caught my eye as it was featuring the next installment as the “Union Jack box” and having a weakness for all things Union Jack, I had to have a peak. 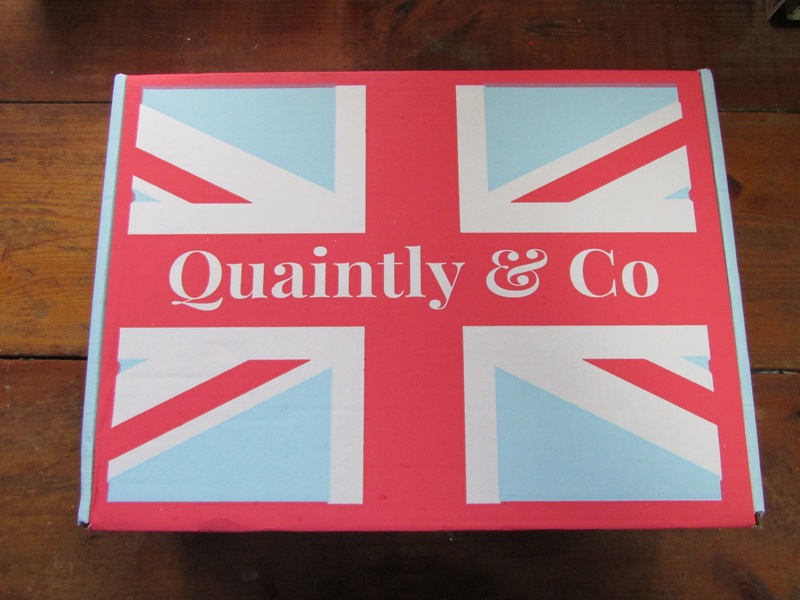 They are a British company that selects and curates a group of items based on a theme and deliver them to your door. (or as close as the post gets) There are many such companies out there shipping everything from dog treats and toys, to sock yarn, to beauty products. I have been tempted before, but this time I took a leap. They offer different sizes and price points and have options so you can try the service out without signing your life away. I felt like I could trust them as a company, and happily I was proved right. There is something a bit like Christmas waiting for a parcel to arrive with things you know you will like, but will also be surprised by. And you know how much I love Christmas. So lets look at what I received! So this came in 2 pieces, the makeup pouch and the removable patch. Its a great concept because to feel the back of the patch you would not think it would stick like Velcro…but it does. I say in the video that I would sew the patch on a denim jacket, but it was much easier than that! I just placed it on the pouch and it is firmly stuck, but it can also be removed and you could switch out for a new look. Clever! It is lovely quality I know will be using this daily. 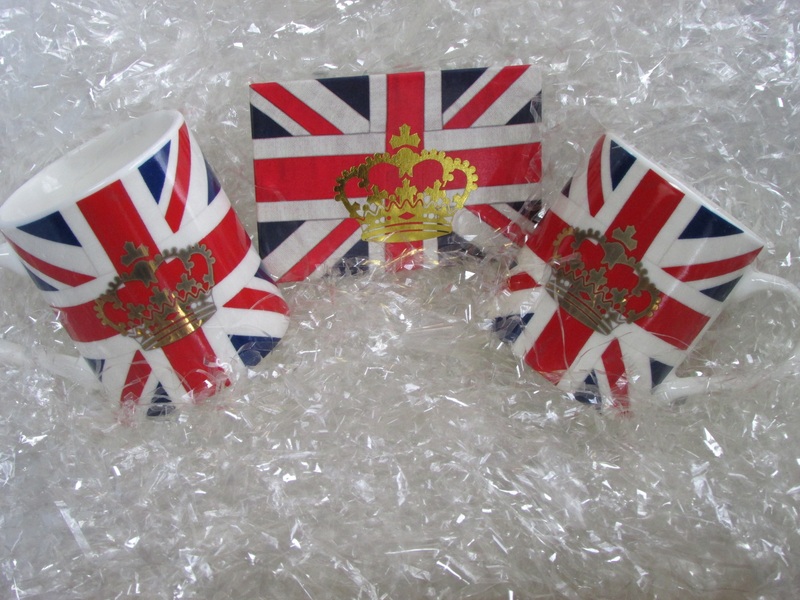 Next we had some little mugs and a magnet from John Lewis. These are just the sort of thing I love to buy, though I do not have any in this espresso size. Very sweet and a nice addition to my collection. 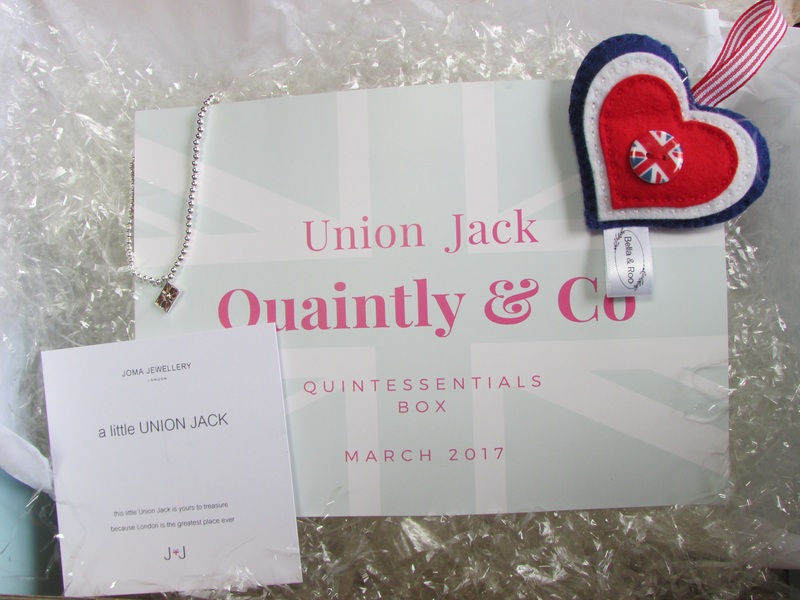 The wee felt Union Jack heart is also something I would buy. It is from a maker called Bella and Roo. The bracelet is so tiny and fine, it is almost impossible to get a good picture, but it is a perfect addition to my growing collection of bangles I wear constantly. 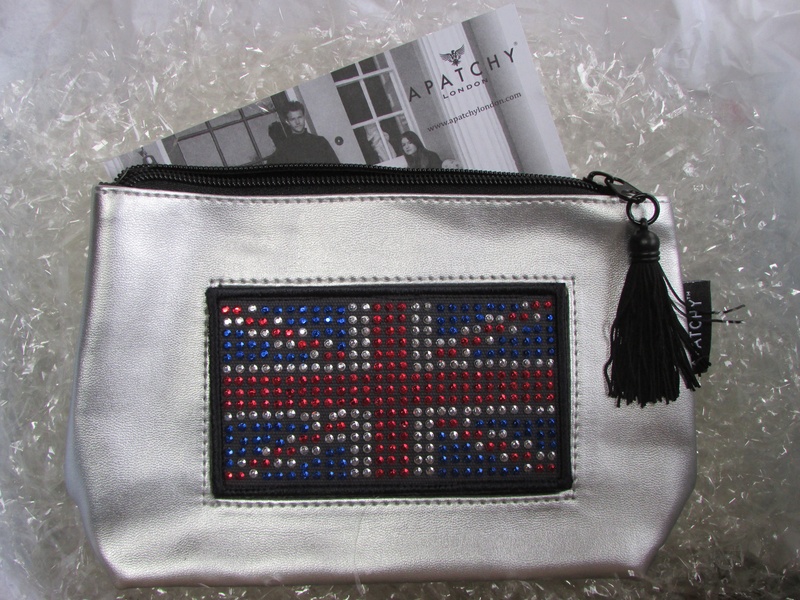 The teeny tiny charm is, of course, a Union Jack. And finally a tea towel. 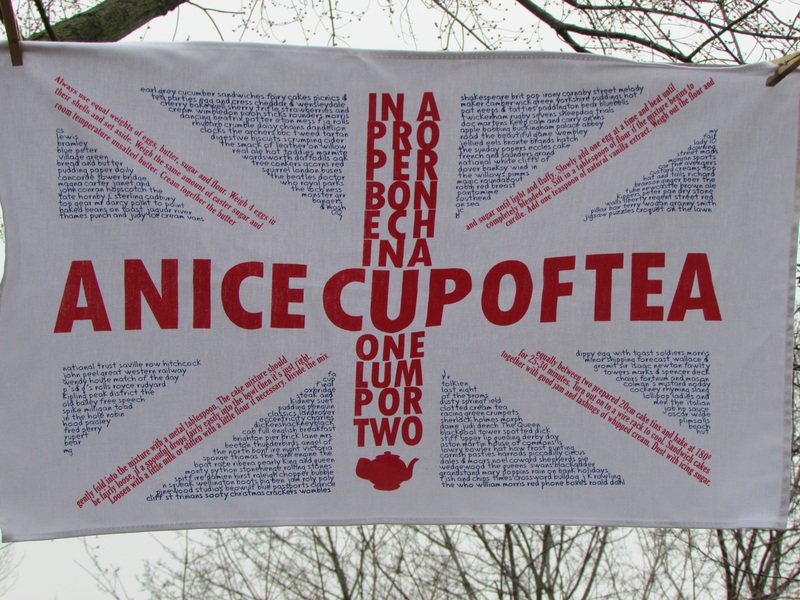 What is more quintessentially British than a tea towel? It is actually easier to see the Union Jack in this shot than when it is up close as the words (all about tea) distract you. It says on the description card that this design was made especially for Quaintly $ Co so it is a bit special. Next month is a Jane Austen Theme. I will be watching to see what other themes they come up with. I think this may not be my only purchase….